I am just running my Featherstone re-write through the paces. I’ve played a good bit and the rules work quite well. I want to make sure all of my addenda get put into the rules as written. I am using the scenarios from 1 Hour Wargames. I’ve randomly determined which battles will be played. Blue is the aggressor on the first battle. The winner of each battle becomes the aggressor of the next battle, the counter offensive should it be the defender. This first scenario is #26 in the book: Triple Line. The aggressor must cross a bridge and defeat a numerically inferior force (6 units to 4). Blue has 2 skirmisher units, 3 line units and an artillery battery. Red has 1 skirmisher unit, 2 line units and 1 artillery battery. I limited the artillery to 8 rounds of ammunition. 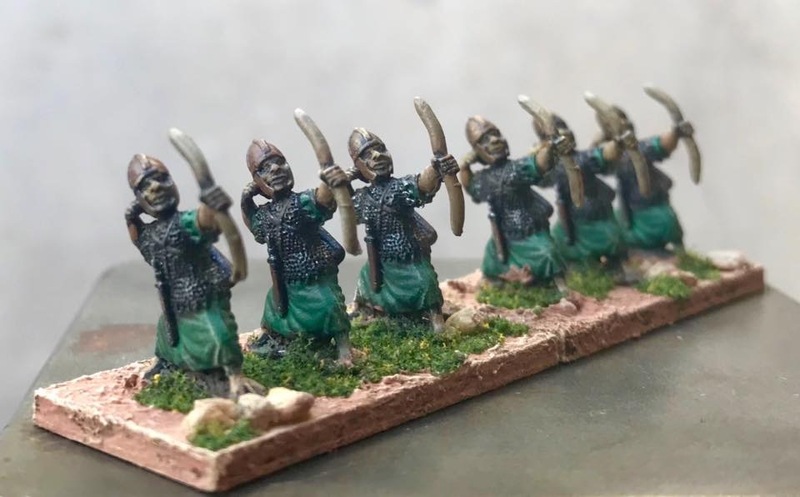 Skirmishers shoot at one range band farther though at long range they still just shoot at long range. Turn 1: Blue advances with a skirmish screen, 2 units in line and another in column of march. The artillery comes up on the right and so is not eligible to file this turn. There is a short exchange of fire at long range with just 1 casualty inflicted on a Blue skirmisher unit. 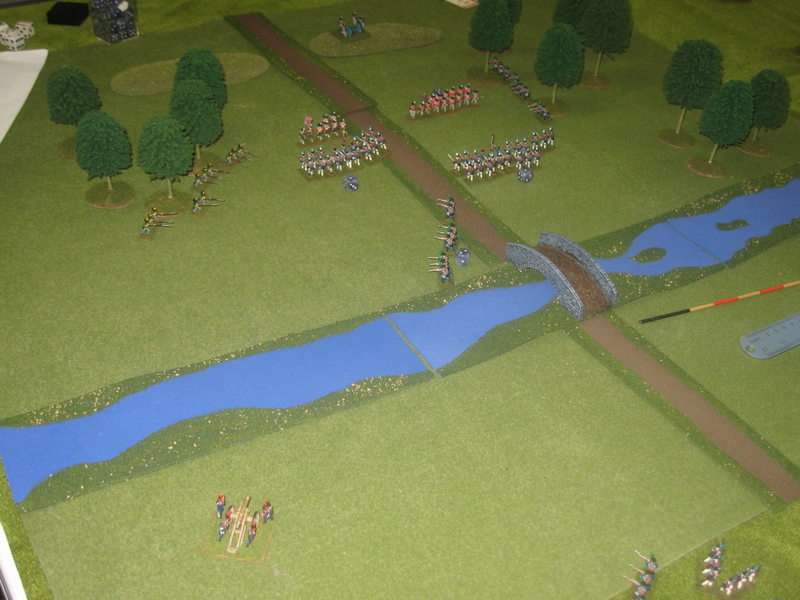 Turn 2: The right blue unit flank marches and the unit in column charges over the bridge, driving the Red skirmishers back. 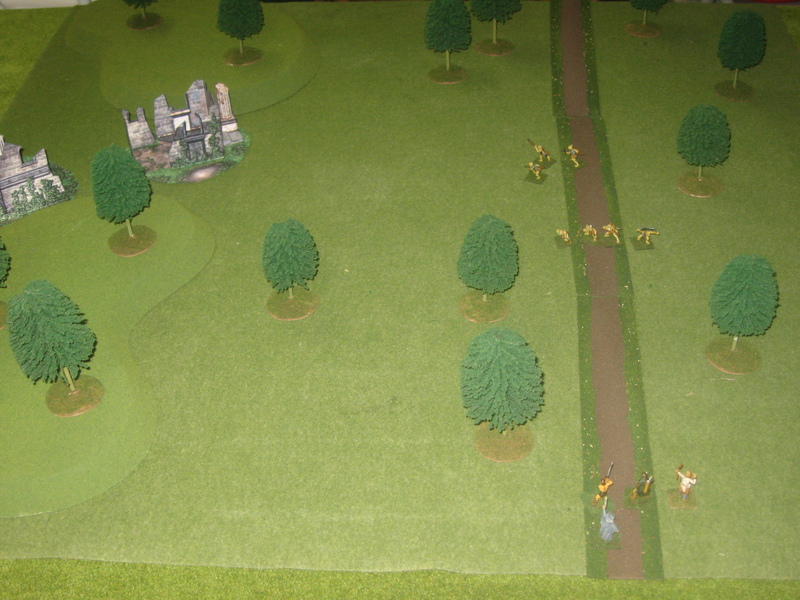 Long range infantry fire is ineffective but the artillery rips through the ranks causing several casualties. 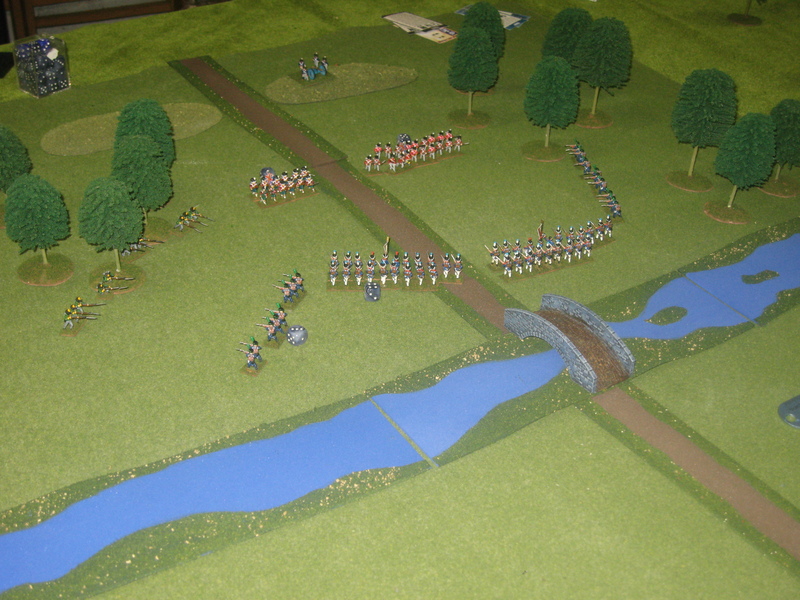 Turn 3: The assaulting line unit manages to form line but is met by a hail of musketry and artillery fire. 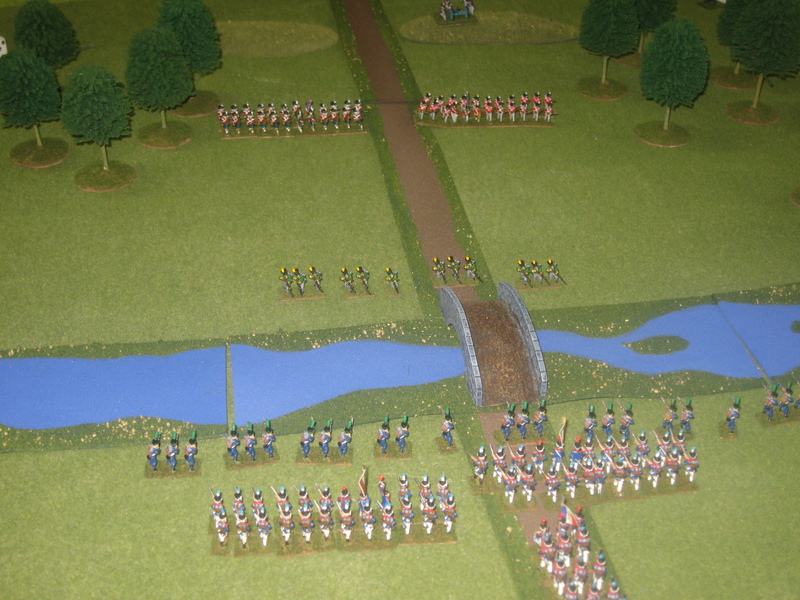 While at 50% it does manage to hold its ground as the second line unit crosses the river and form line. Turn 4: Blue wins a critical initiative. 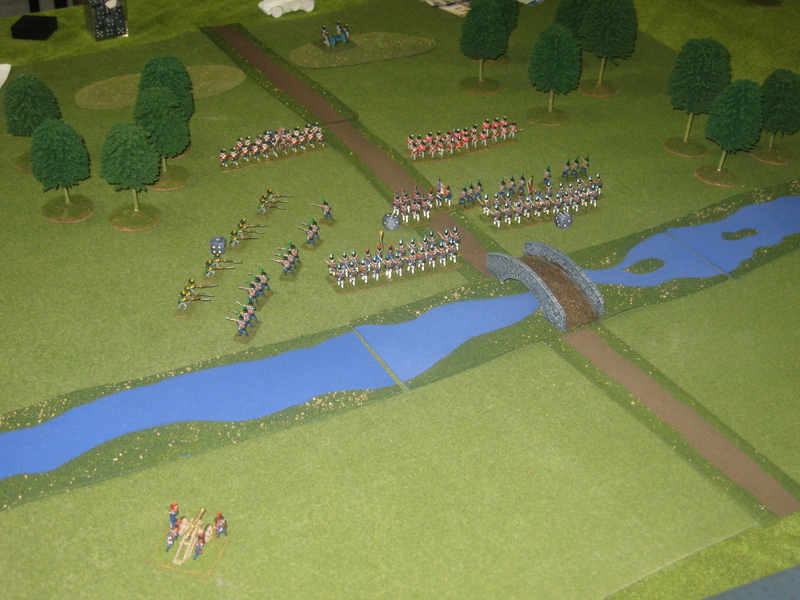 They are able to bring their last line unit over the river and form up. They are also able to make a retreat lane. Blue’s general moves up to help rally the wavering line unit but is killed in the process. The line unit manages to hold on but is still disordered. Artillery on both sides continues to inflict casualties. I did not represent generals on the field since they are fast enough to move anywhere they want. Every time they are used, roll a D6. 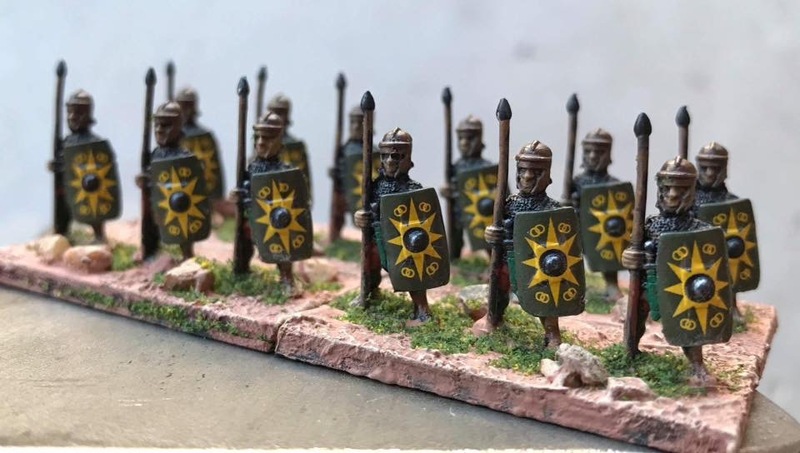 On a 6, they are hit while trying to influence combat. Roll again. 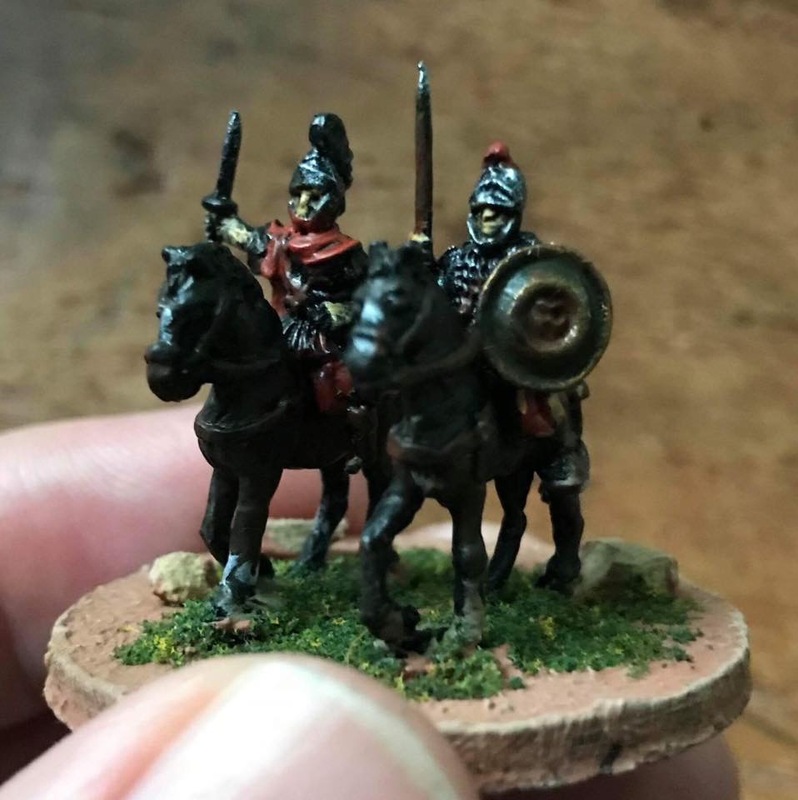 On a 1-2, the horse was shot from beneath them. On a 3-4, they are wounded and are out for D6 turns. On a 5-6, they are mortally wounded and carried from the field. 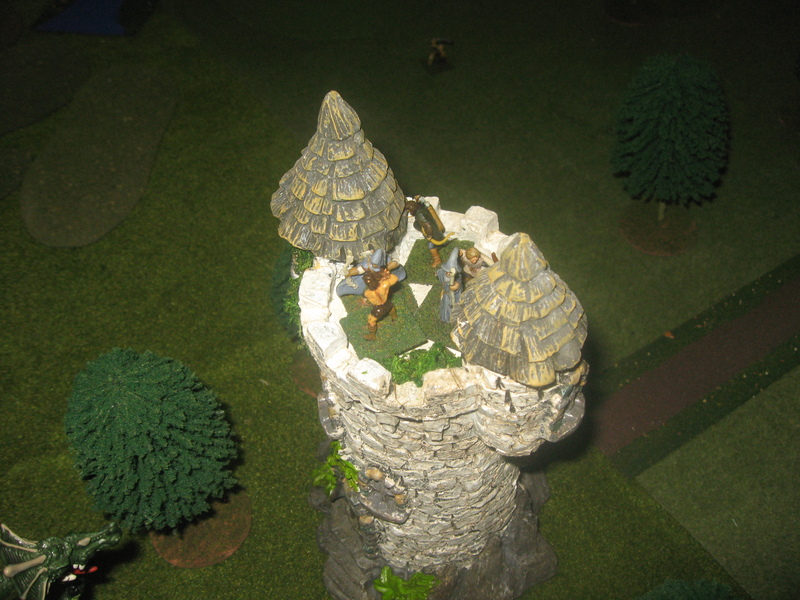 If they are wounded while influencing melee, and their unit loses the combat, the commander is also captured. Turn 6: red wins the initiative and tells blue to move first. 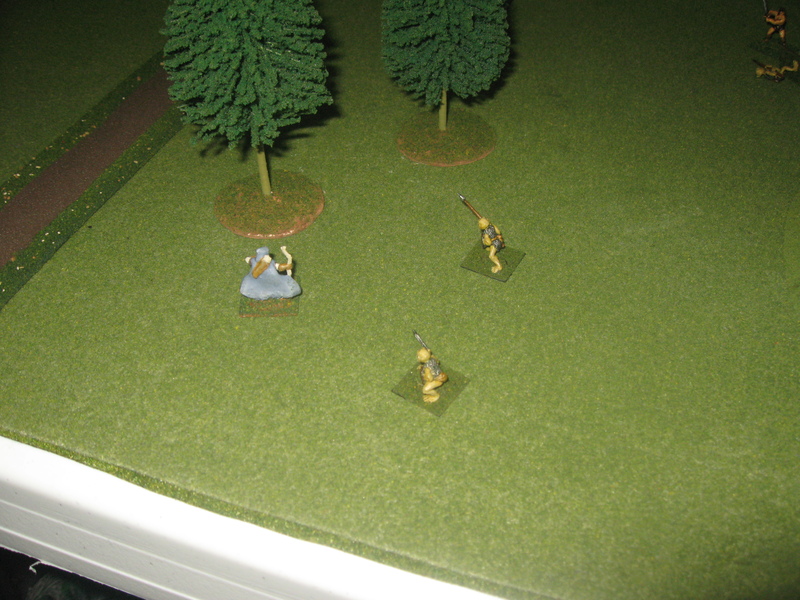 Blue creeps their skirmisher through he woods on the right to gain a flank shot on red’s left most unit. 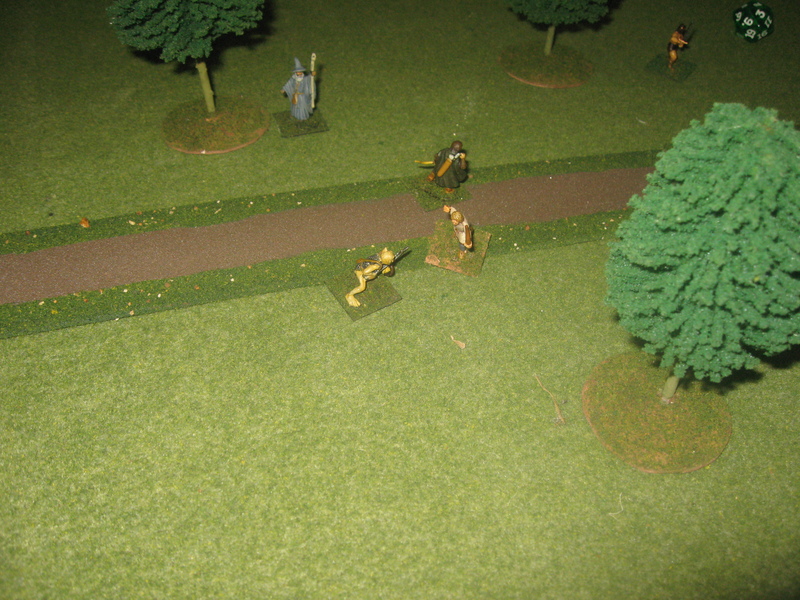 red’s skirmisher fail a morale check and are obliged to retreat to the woods. 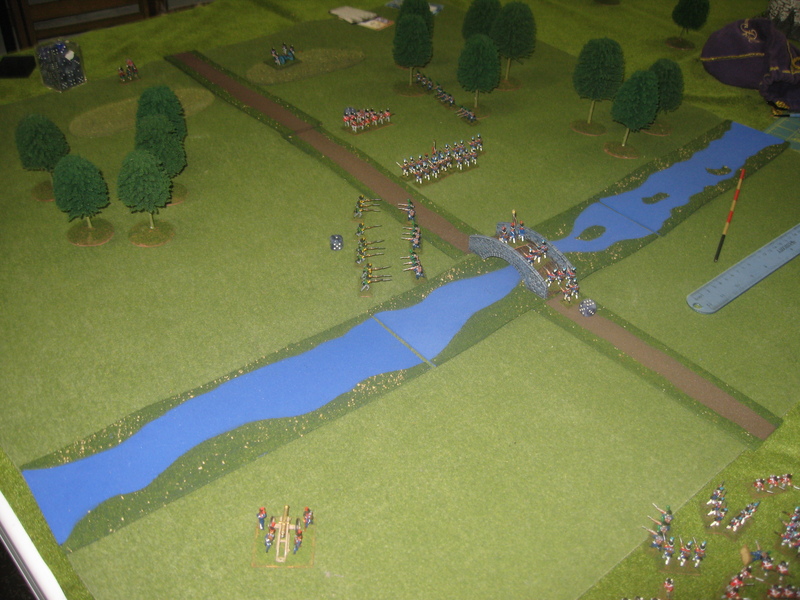 Blue inflicts casualties heavy casualties on Red’s right most unit through artillery fire and some casualties on the left most with long ranged musketry. Red’s return fire is mostly ineffective though artillery managed two hits on Blue’s left most unit. Turn 7: Blue’s skirmishers do not rally and can’t move. 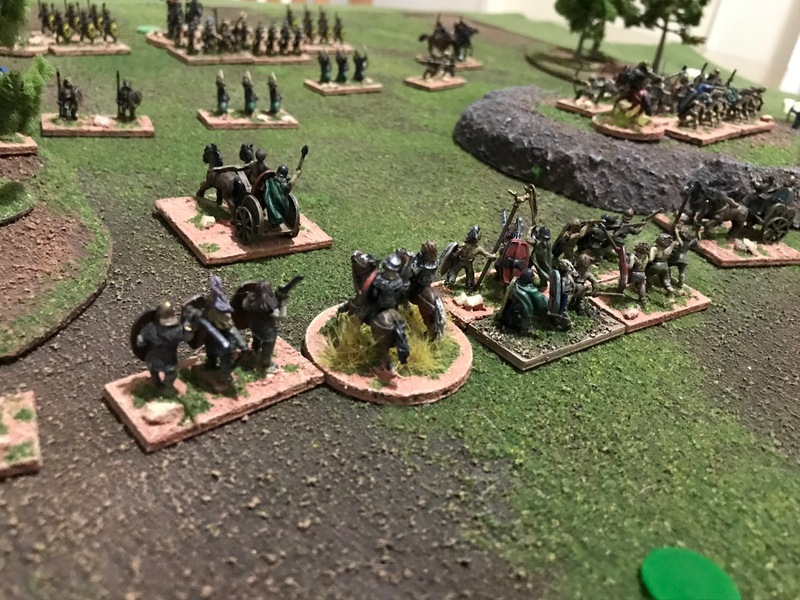 They press the attack on red’s right and despite taking flank fire from Red’s skirmishers manage to hold and deliver close range musketry to Red’s right hand unit. Red’s fire’s and misses with its artillery. The other side of the line is a rather even exchange of infantry fire. Both sides have just 2 rounds of artillery fire left. Turn 8: Blue wins the initiative and orders a bayonet charge on the already wavering Red unit on the right flank of Red. Red’s unit routes and takes several casualties knocking it down to it’s last stand. However, disaster strikes and Blue fails a morale check with the same unit and routes back to the bridge. (I am off here somehow). This may be a picture after 2 turns of action. Hmmm). Blue’s artillery inflicts casualties on Reds remaining line unit as does the long range fire from Blue’s other two units. red returns with a hit or two. Both artillery units are down to the last round. Turn 9: Both batteries inflict some more casualties with their last rounds. Blue continues to whittle down red’s remaining line unit. 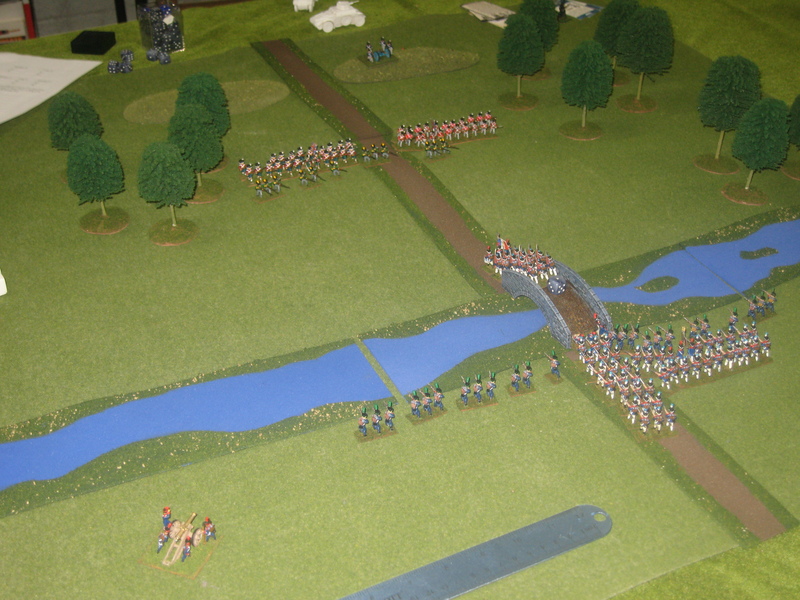 Red in desperation, presses blue’s skirmisher unit near the bridge. Turn 10: Blue wins the initiative and charges Red’s wavering line unit. Red’s unit breaks and runs leaving Blue’s skirmisher and line unit close to an otherwise defenseless artillery battery. 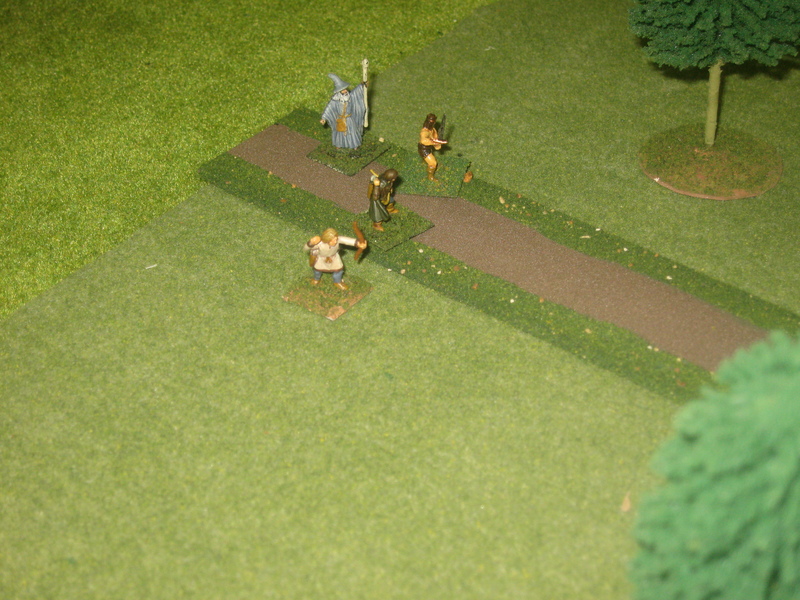 The resulting musketry fire inflicts 3 casualties. At this point, it was clear that Blue would win. 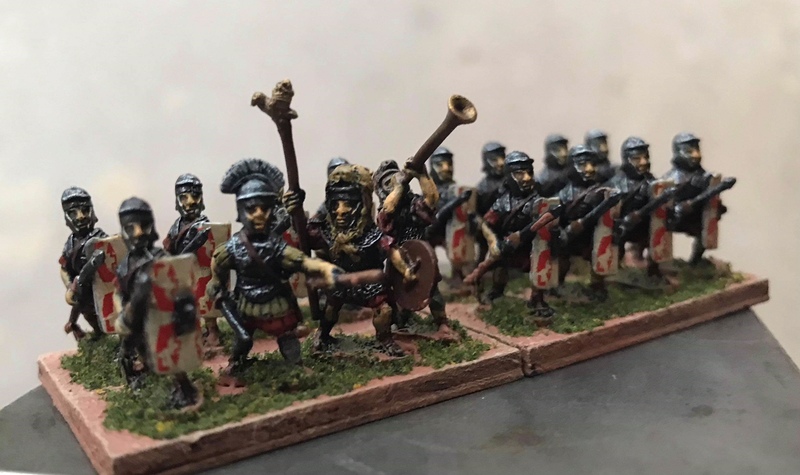 They still had 2 line and both skirmisher units on the field and Red had only their skirmisher unit though their last line unit did rally with a ‘6’. It likely would not have withstood the onslaught of Blue’s remaining units. Next battle will be battle #1 which is a fight between 2 hills. It’s a pretty uninteresting map but will test the rules on open ground. The figures are mostly Minifigs 2nd gen with a few Minifigs 3rd generation. Trees are by JTT trees. Hills are from Battlefield Terrain Concepts. 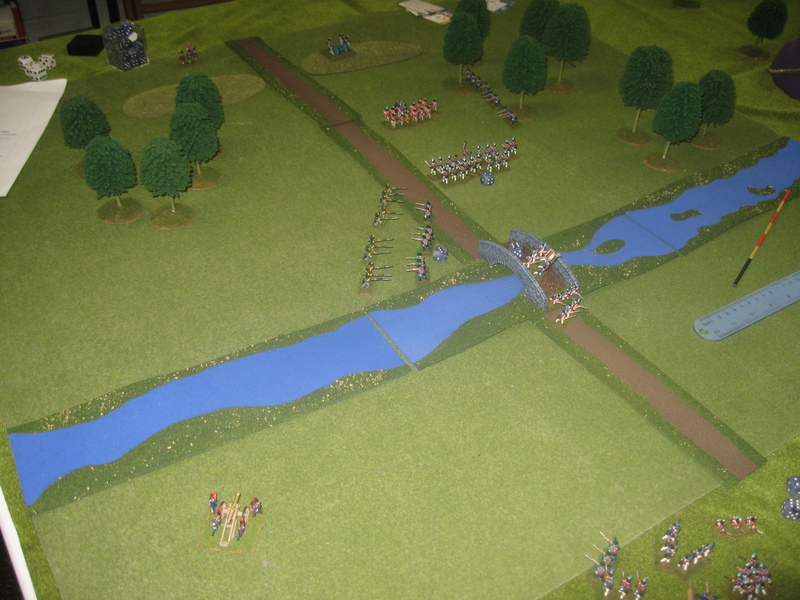 The rivers and roads are craft foam flocked with railroad flock made by someone at the flea market at Cold Wars. I am ashamed to say I did not get the gentleman’s name. They are a clever and inexpensive way to make roads and rivers. I’ve started with tanks and have gone through the infantry basics as well. Now it is time to worry about artillery and the communications involved in directing fire. Mr. 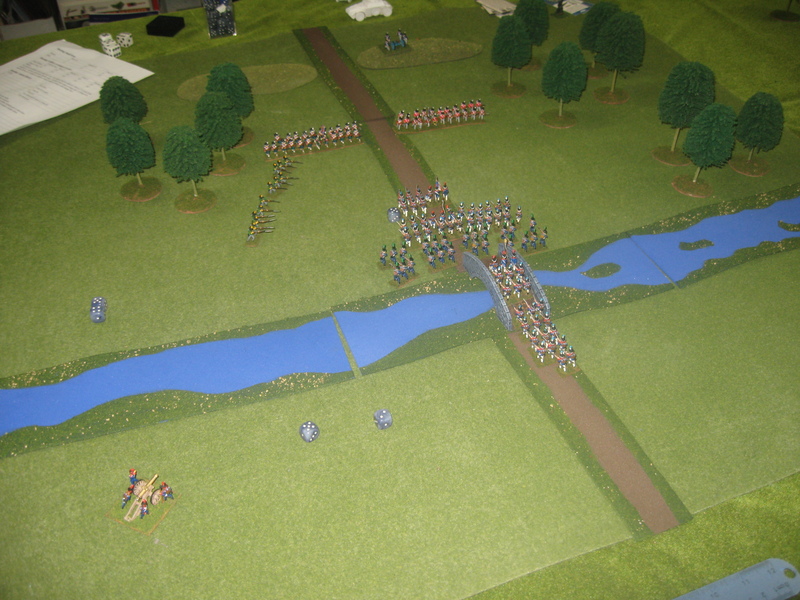 Grants game is based on a 1 minute game turn and assumes that the units in question will be able to move about with perfect efficiency should the player choose. I’ve chosen a 5 minute turn, not that it really matters, and assume there will be plenty of “hurry up and wait” involved with moving units. With that in mind, a forward observer (F/O) will need to raise the gun battery on the radio. Grant assumed a throw of a 5 or 6 was necessary on a single dice throw. Given that we would have 5 chances to get this number, I’ve distilled this down to a single dice throw as well. The chances work out to being roughly 86% which means you would need something like a 2 or better on a single dice throw. Now that may seem excessive but when you consider how artillery works in some of the other games out there, you would be left wondering how in the world guys got support in on target in a timely fashion! A friend of mine, who served many years in the army, would agree that games routinely get it wrong. You can usually get contact in a minute or two, a spotting round down range within the minute and if all goes well you will probably be able to fire for effect a couple of minutes after that. So, it should follow that you can have artillery raining down on the enemy within a turn or at most two. So here is how it should work. The F/O makes contact (2+ on a D6). Now, he would place a marker and roll to range in. A 5 or 6 is required. A failure results in the target being ranged in on the NEXT turn at the point the player selected. Now, place a 1.5″ X 3″ rectangle down centered on the point of impact. Each corner will be numbered 1 through 4. 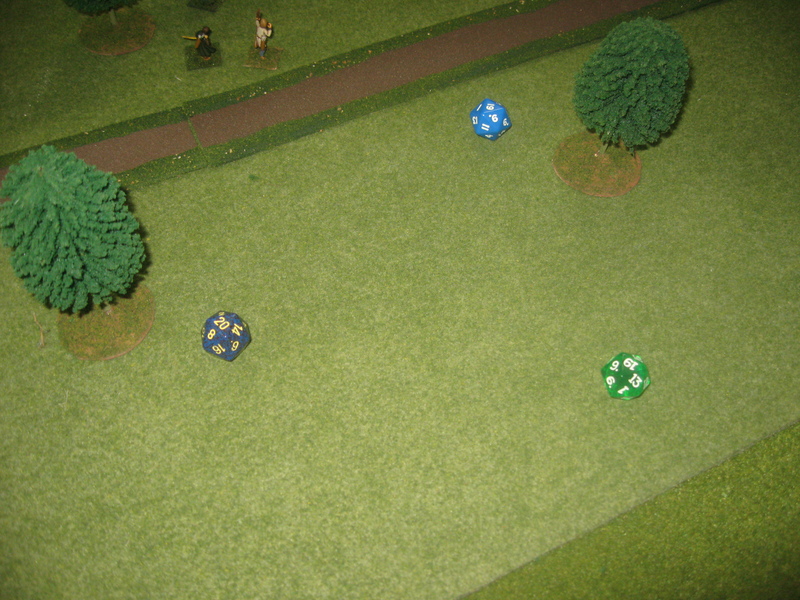 A die roll of 5 or 6 will result in the rounds coming in on target. On a 1 through 4, the area is shifted to the numbered corner that resulted. Thus if the upper left corner was labeled 1 and a 1 was rolled, shift the point of impact to the upper left corner. Any vehicle or figure caught under the blast is subject to being destroyed. Infantry and gun crew need a 5 or 6 to survive in the open, a 4+ in cover except woods where splintered wood would effectively make the area as dangerous as in the open. 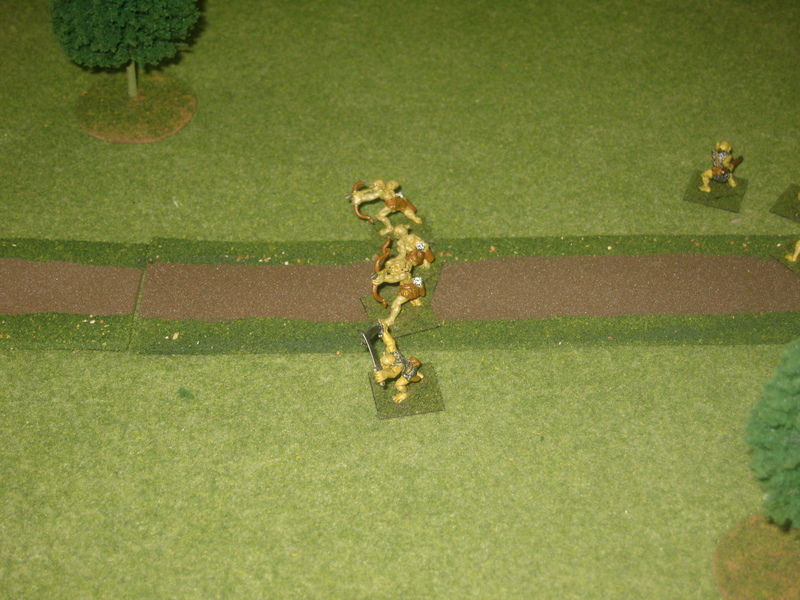 infantry sheltered in slit trenches, fox holes or bunkers are saved on a 3+. Tanks are immobilized on a 4 or 5 and rendered inoperative on a 6. Soft skinned vehicles are destroyed on a 3+. Any passengers make saves as if in the open. I’ve found a bit of interesting stuff, both on line and at Amazon. The first are a group of gamers who have started there own YouTube channel called Little Wars TV. They are putting out a series of interesting videos in the form of historical battle reports, how to’s, game reviews and battlefield tours. I believe they are based in Pennsylvania. 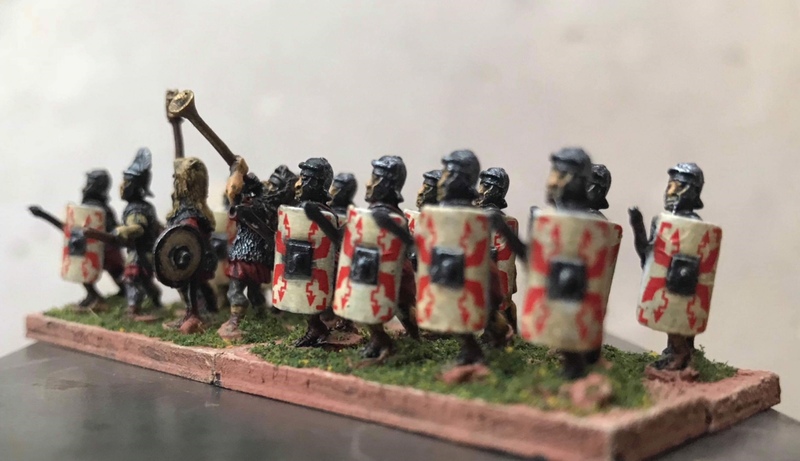 Club members have designed a couple of rules sets, namely Age of Hannibal and Altar of Freedom. Both are fine sets of rules and I hope to give them a proper review in due time. I’ve had some 3D printing issues (Yeah, I know. 1st world problems!) lately in he form of a clogged nozzle which resulted in it’s destruction while tying to clear it. I took the plunge on a finer nozzle (.3mm instead of .4mm). You’d think it would give better results and quite well it might with the right settings. I could not get it to work right. So after plunking down $83 for the fine nozzle, I plunked down another $83 for the standard .4mm nozzle. Boo. Amazon is always a treasure trove of old school books. Sometimes they are expensive like the some of the Airfix Guides and sometimes they are quite reasonable like Paul Hague’s Naval wargame guides. While looking for the expanded version of “Battle” I found Mr. Hague’s second book for about $12. For the fans of his first book, this edition builds upon the information of the first book. 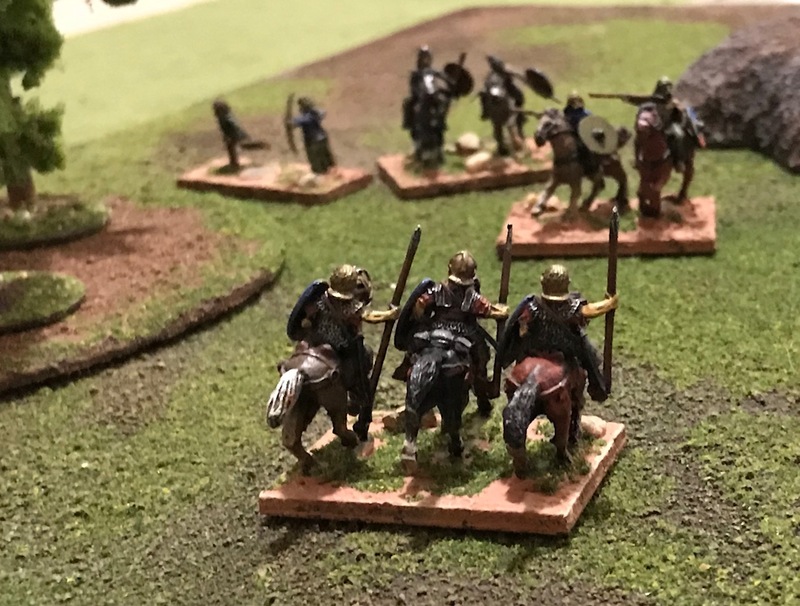 You get wargames rules more geared toward large battles. Fast play to be sure but with lots of ships on the board, you really do want that. He writes in his same, interesting and clear style. A must for naval wargaming enthusiasts. 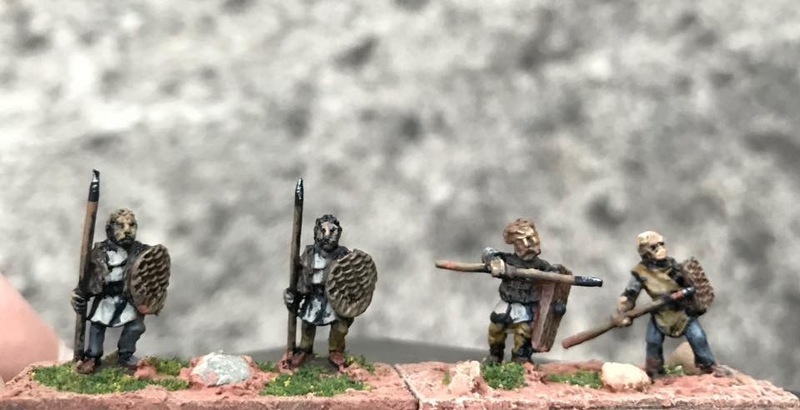 I am happy to see Ancients D6 still being enjoyed by some gamers here and there. 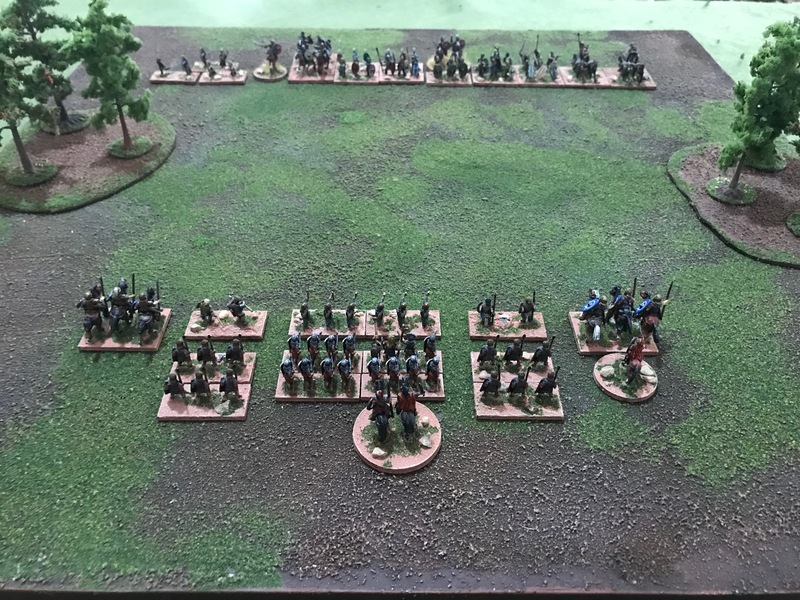 Brett Simpson has sent me some pictures of his EIR and Briton armies including a few shots of a game in progress. In part 1, I laid out the basics of tank combat. Part 2 will deal with infantry combat. Infantry should be a bit easier to define. There is no armor to worry about. There is, however, terrain, and machine guns, and bazookas, and flame throwers and….well it may be more difficult than what meets the eye. Before we start, we should probably define what ranges are. Like Mr. Grant, I think a 10″ scale works well. unlike him, I want to define 1″ as about 50 yards as he had 3″ as 100 yards or 33 yards per inch. With respect to tank combat, 2″ is point blank. 10″ is short range. 20″ is medium range. 30″ is long range. Finally, 40″ is extreme range. For infantry combat, you can safely say that 10″ is long range. Perhaps 5″ short range and 2″ is close assault range. The original Battle had hit numbers defined by range and cover type. It works fine but I prefer the hit and save method of Don Featherstone and Tony Bath. Close assault hits on a 4+. Short range hits on a 5+. Long range hits on a 6. Normally, there will be a save for each hit. A normal save is a 5+ in the open. A figure is assumed to be taking advantage cover in the open if it moves a normal move or less, say 3″. The figure will gain +1 on the save. Figures that “double time” (6″ move) in the open only save on a 5+. A figure in light cover (woods, wooden buildings etc) save on a 4+. 3+ if the figure is in heavy cover (entrenched, stone building, bunker etc). The slow move bonus does not apply here. Machine guns come in two varieties, light and heavy. Light machine guns are those heavy automatic weapons typically mounted on bi-pods. Instead of throwing 1 die, the light machine gun gets 3 dice. Heavy machine guns get 5 dice and can hit out to 20″ but any attack over 10″ is only with 2 dice. Flame throwers shoot out to 3″ and hit anything within a cone that terminates 1″ wide. Saving throws do apply. Targets in cover against flame attacks only get a save of 5+, and targets in the open do not get a cover bonus for moving slowly. Personal AT weapons have a relatively short range. PIATs and Panzerfausts have a range of just 3″ and hit on a 4+. Bazookas and Anti-tank Rifles have a 5″ range and also hit on a 4+. Strike values will vary of course. Anti-tank rifles stike values will be relatively low, perhaps 2 or 3 while the shape charge weapons strike value will be 7 or more depending on the weapon. I’ll have to do research on that. I’ve been reading through “Battle” by Charles Grant. It is his version of a simple WW2 wargame. Lets face it. All of Mr Grant’s wargame rules were simple. That is not a bad thing. His methodology is sound. Each vehicle has a defense value. You roll 2 dice to hit, with each target number being progressively higher the farther the target is away from the shooter. If a hit is scored, you roll 2 dice again and add the guns strike value. If the total is greater than the target’s defense value, the target is destroyed. Simple. Now, part of the issue I take with this method is that side armor of many vehicles are significantly less than the frontal armor. Some of the defense values are suspect as well. Here is a great example. A Panther tank has significant frontal armor and weak side armor. 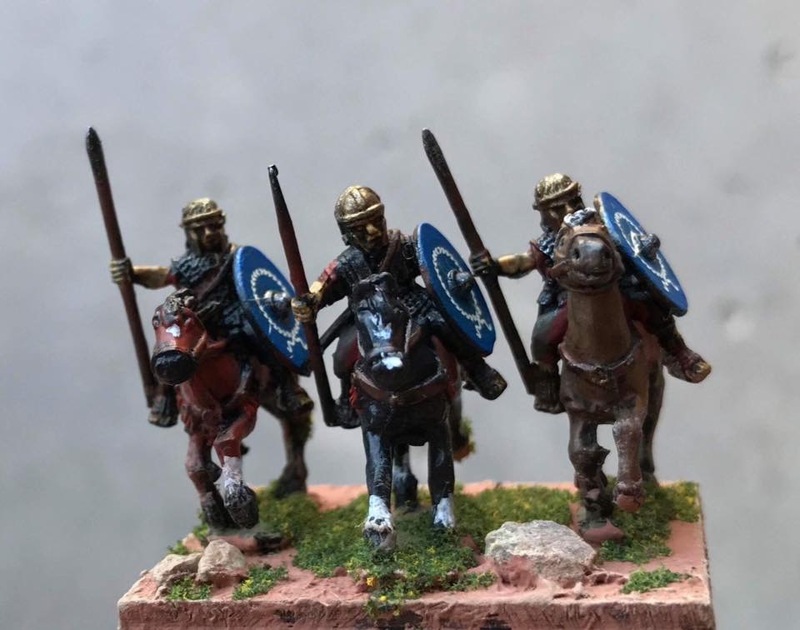 The frontal armor is sloped as well. Most games today do not adequately take into account the effect of sloped armor. The front hull armor is just 80mm but is sloped at 55 degrees. There is a formula to figure out the effective armor across the slope. Tn is the normal thickness. S is the armor slope in degrees. Where Te is the effective armor. When worked out, the Panther’s effective armor is 140mm on the hull. The turret has a flat 100mm of armor with 80mm on the sides. The hull sides are only 50mm. So what do we do with all of this? Well, to start, we have a base number of 7 as or target number. The reason for 7? It is the average dice roll of 2 dice. To that we add the effective armor in centimeters. Now, we have to consider that the turret has a different armor value than the hull. We can accept this and use a hit location die roll. 1-2 the turret is hit. 3-6 the hull is hit. Or we can average the two numbers. 1/3 of the value is based on the turret and the other 2/3 is based on the hull. So a frontal attack on a Panther would have to defeat ((14X2)+10)/3+7=20 defense. The side armor is ((5X2)+8)/3+7=13. The strike value of a Panther is the gun penetration in cm. At 100 yards it is roughly 14. At 500 yards it is 12. At 1000 yards it is 11. At 1500 yards it is 10 and at 2000 yards it is 9. Other quick comparisons. The Tiger 1 has a front defense of 18 and a side defense of 15. Sherman has a front defense of 16 and a side defense of 12. The strike value of the Sherman’s 75mm gun would be 8/7/6/5/4. At 1000 yards, it could destroy a Panther side on but from the front, there would be no chance to destroy the tank at any range. The later guns including the American 76.2mm and the British 17 pounder were more than adequate, at least at close range and even farther away in the case of the latter. Chances to hit can be graded at 5 or better at 100 yards, 6 or better at 500 yards, 7 or better at 1000 yards, 8 or better at 1500 yards and 9 or better at 2000 yards. If the tank moves at up to half speed there should be a dice penalty of -2. If it moves full the penalty should be doubled as it is very difficult to fire on the move like that.